I thought Bell would have kicked Solo Mobile to the curb by now… they took over complete ownership of the far more superior sub-brand Virgin Mobile and somehow have kept Solo alive. Guessing there are buyers out there still… if so, good news for you as Solo has released the very basic entry device LG 230. The LG 230 is available also at Bell and was actually released earlier this week on Virgin for free on a 2-year or $59.99 no contract. But for those who want to pay more for the same phone, Solo has this for an astonishing $25 on a 2-year or Prepaid for $100. 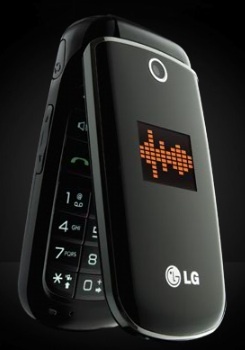 The LG 230 is a flip phone that has a 1.77 inch display and a 2.5mm headset jack. On a more positive note, Solo says that your “Communication is always clear and consistent” if you buy it with them.